We don’t tend to release many single tracks at Monotonik anymore, preferring EPs or albums. But when cult Finnish ex demo-scene composer Tweeter, perhaps best known for his late ’90s releases on Substance’s mod.label Voodoo, contacts us and offers us his first finished track since 2001, and it happens to be just gorgeous, what do we do? Well, we make an exception, of course. But how to describe? 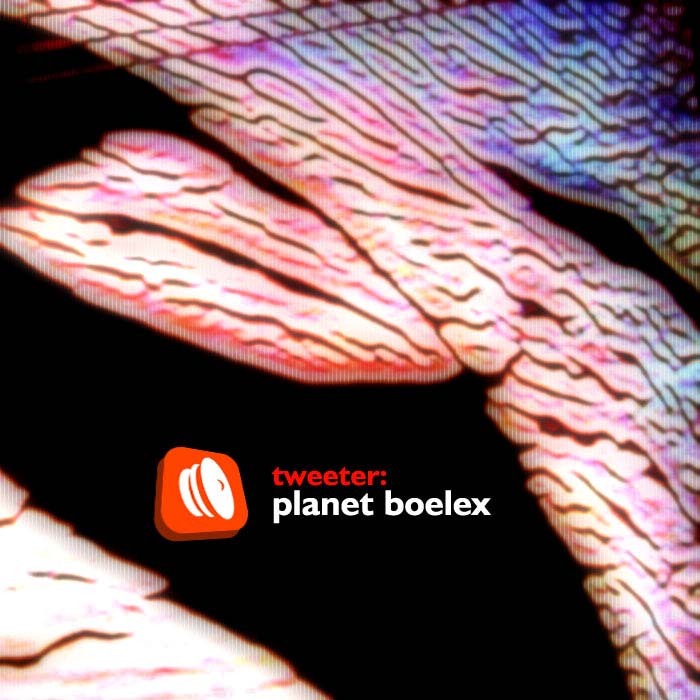 Well, similarly to his previous Monotonik release, ‘Me And My Friend Lobstah’, Tweeter shows his ‘classic idm’ side, but ‘Planet Boelex’ isn’t simply an Artificial Intelligence clone, rather striking out with intricate percussion, many, many layers of echoing synthetic leads, and the feel of something strangely timeless. And that shift of gears about four minutes into the track… oh my. Net result? Now we wish we could commandeer the Tardis and do some time shifting of our own, so Tweeter would finish an album for us before Tweeter Jr. arrives – one tune every 3 years simply ain’t enough.